The spunky spacecraft that became the first visitor to Pluto in 2015 is about to make history again. New Horizons is nearing its second stop, an icy object being called Ultima Thule. Meaning a place "beyond what is known" it's the perfect nick-name for this dark reddish chunk of ice and rock a billion miles past Pluto. Ultima Thule is a Kuiper Belt object, one of millions that orbit beyond Neptune that make up our solar system's outer zone. 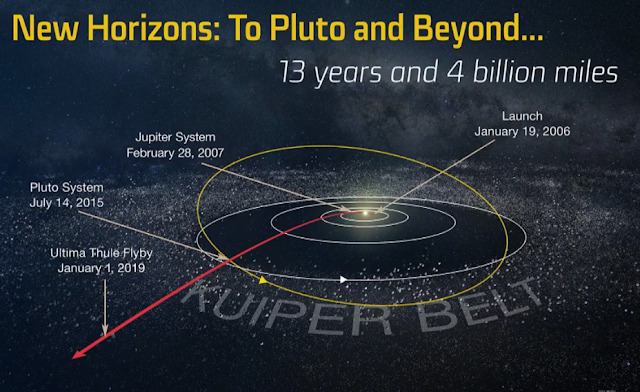 After accomplishing its nearly ten-year journey to the Pluto system where it rewrote the book on the icy dwarf planet and its five moons, New Horizons headed toward the small Kuiper Belt object. 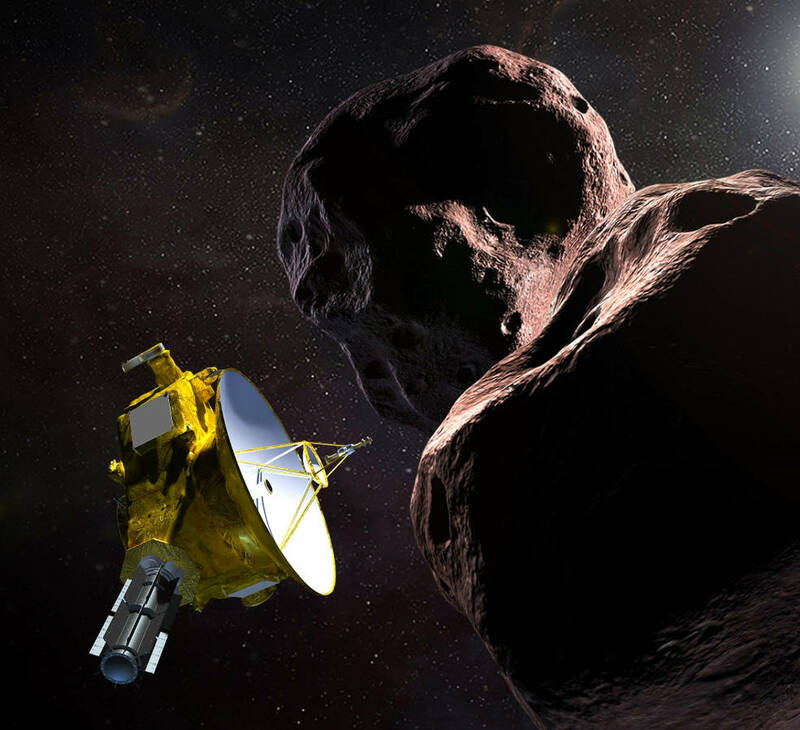 The speedy grand-piano-sized robotic probe will reach Ultima Thule late this month on New Year's Eve. It will be the farthest planetary exploration by a spacecraft ever! The KBO is an astounding 4 billion miles from the Sun. Here's how to make sure you're tuned into the action and how to get students up to speed on the mission so far, as well as some fun activities to share. 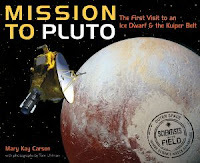 Get caught up on the story so far, by reading my book Mission to Pluto. There's a great free downloadable educator's guide for the book, too. Also, here is an annotated activity to help students comprehend just how far away Ultima Thule is. 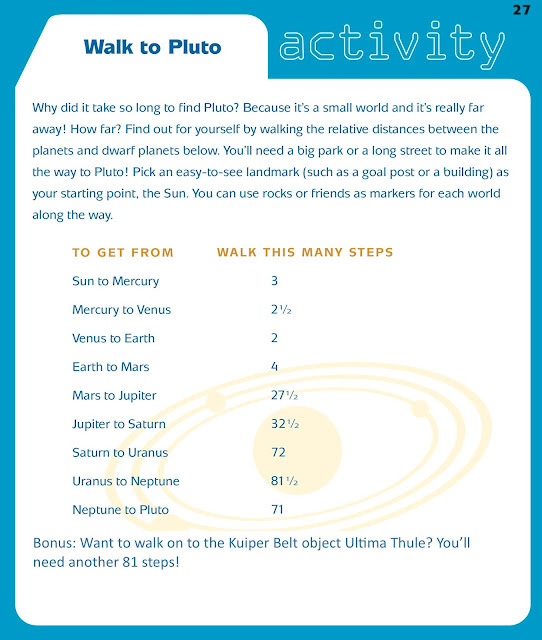 It's from my book Exploring the Solar System. Go New Horizons, go!